EagleVail’s Mikaela Shiffrin on Saturday flipped the script from last season’s World Cup slalom opener, topping Slovakia’s Petra Vlhova by more than a half a second to win her third reindeer in Levi, Finland. Shiffrin previously won the slalom opener in Levi in 2013 and 2016 but finished second to Vlhova last season. This time Shiffrin won with a two-run time of 1:32.61, which was a hefty .58 ahead of Vlhova. Austria’s Bernadette Schild was in third place, .79 off the pace. In just the second race of the young season, Saturday’s win in Levi was the first win of the season for the defending, two-time overall World Cup champion Shiffrin, who’s also a two-time Olympic gold medalist. Shiffrin was third in the season-opening giant slalom last month in Soelden, Austria. Saturday’s win was also the 44th of the 23-year-old Shiffrin’s stellar career, good for fifth on the all-time women’s victory list. Nina O’Brien of Edwards did not finish Saturday’s first run. The men take on the Levi Black course on Sunday, with River Radamus of Edwards making his World Cup debut. The men’s GS opener in Soelden was cancelled last month due to adverse weather. The men’s team will race in Beaver Creek Nov. 30-Dec. 2 after International Ski Federation officials gave the Birds of Prey course the official nod of approval on Friday. “We couldn’t be more pleased with how the men’s world cup races are coming together this year. Our hats go off to the incredible efforts and dedication of Vail Resorts, our Talon Crew volunteers, and the Vail Valley Foundation operations team to put together this amazing racecourse,” said Mike Imhof, President of the Vail Valley Foundation, which organizes the event. Mikaela Shiffrin (Avon, Colo.) opened her quest for her sixth career FIS Ski World Cup slalom crystal globe with another dominating victory in the season-opening slalom under the lights in Levi, Finland on Saturday. The start of the first run was delayed an hour and moved further down the mountain due to windy conditions. Due to the wind, the gondola was also inoperable, so athletes were shuttled on buses to the start for inspection. But despite the warm temperatures, the course remained hard and fast. Shiffrin started first in the opening run and never looked back, taking a 0.14 second lead over Sweden’s Friday Hansdotter, who eventually settled for fourth. Slovakia’s Petra Vhlova skied a solid second run to finish second, 0.58 seconds back of Shiffrin’s winning time, and Austria’s Bernadette Schild was third, 0.79 seconds back. Resi Stiegler (Jackson Hole, Wyo. 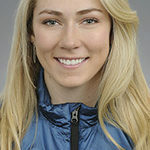 ), who was racing for the first time since sustaining a knee injury at the Olympic slalom in PyeongChang, and Nina O’Brien (Denver, Colo.), also started for the U.S. but did not qualify for the second run. Saturday’s victory also moves Shiffrin into the overall World Cup lead, following her third-place finish in the giant slalom at Soelden, Austria, last month. With 160 points, Shiffrin leads the standings over France’s Tessa Worley (100 points) followed by Switzerland’s Wendy Holdener (81 points). The women’s World Cup circuit moves on to Vermont’s Killington Resort for the Killington Cup, Nov. 24-25 with giant slalom and slalom events. Shiffrin has won the slalom the past two years at Killington and finished fifth in the giant slalom in 2016, and second in 2017. Shiffrin’s reindeer herd also expanded with her third slalom victory in Levi. She named her newest addition Mr. Gru (from the movie Despicable Me). Mr. Gru joins Sven, won in 2016, and Rudolph the Red-Nosed Reindeer won in 2013. Following the cancellation of the giant slalom in Soelden, the men’s World Cup season kicks off Sunday at Levi with slalom. American men’s starters will be Mark Engel (Truckee, Calif.), Hig Roberts (Steamboat Springs, Colo.) Robby Kelley (Starksboro, Vt.), River Radamus (Edwards, Colo.) and Luke Winters (Gresham, Ore.). *NBC Sports Gold, NBC Sports Digital’s direct-to-consumer live streaming product “Snow Pass” provides fans access to live and on-demand domestic and international competitions of seven Olympic winter sports from October 2018 through April 2019. The Snow Pass provides access to every second of race action throughout the season. Whoever you support, their races will be broadcast on the Snow Pass. NBC will also email you prior to each event to remind you of live broadcast times on Snow Pass, and if you can’t watch live, the entire event will be available to replay, all for under 20 cents per day.